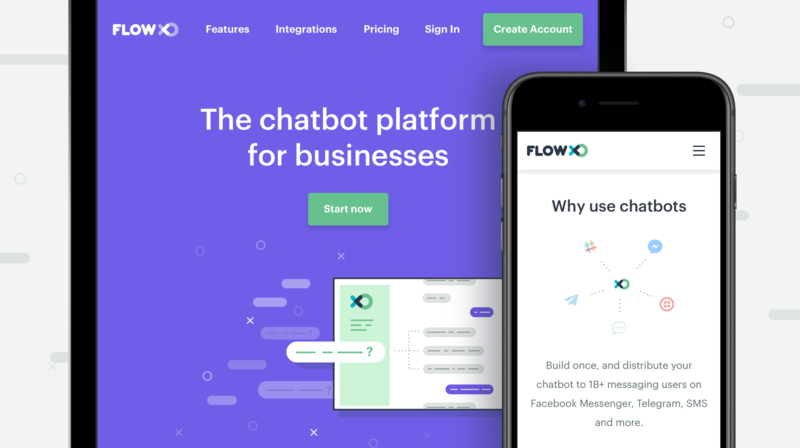 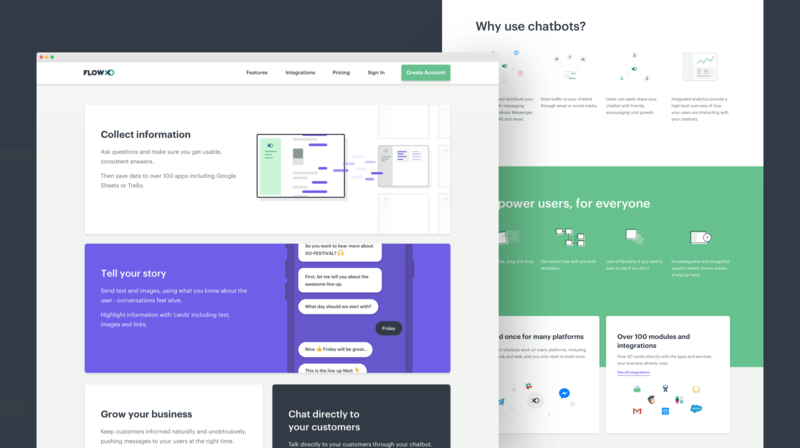 A chatbot service that needed a landing page redesign and a visual refresh of their public facing identity. 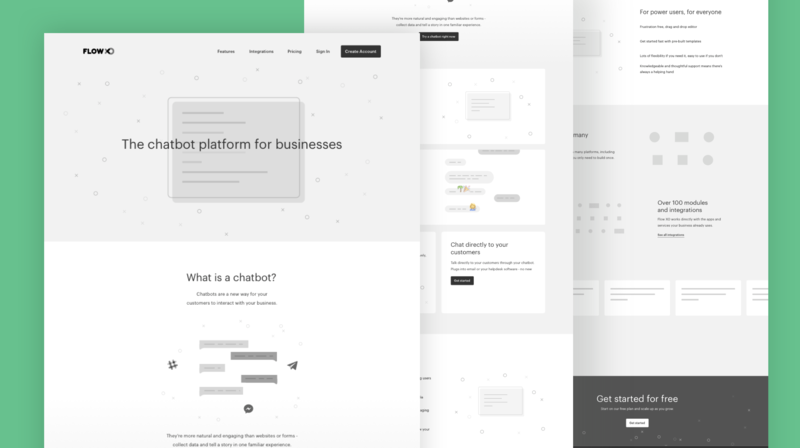 Before continuing with the visual design phase we developed the wireframes and put all the content and ideas in place. 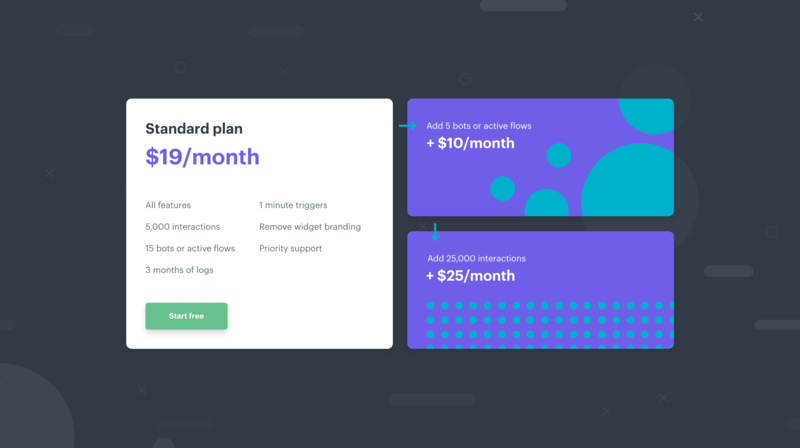 This enabled us to focus solely on the visual end of things later on. 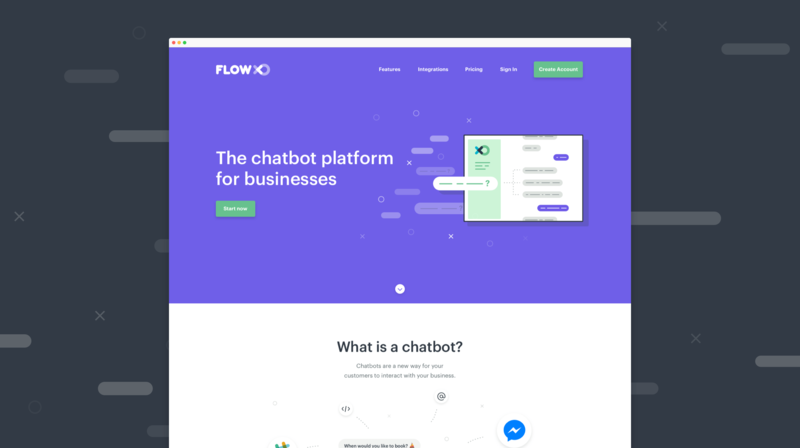 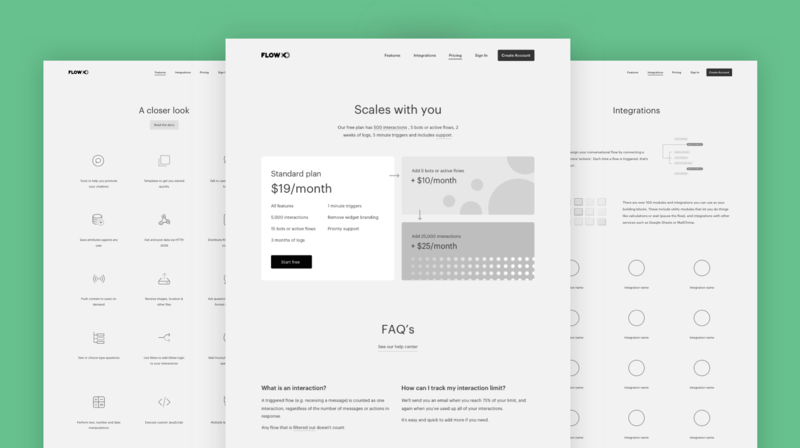 The redesign was geared towards explaining some of the features visually and developing an illustration style with a more modern and fresh feel to it.